This classic drill cap features embroidered NSW team and sponsor logos, showing everyone you’re a dedicated Blues fan. As it’s made from durable Cotton Drill, you can rest assured you’ll be showing your support for many years to come. Canterbury’s Classic Drill Cap is the quintessential supporters cap for Blues fans everywhere. It’s made from tough 100% Cotton Drill and has a solid metal clasp closure at the back for extra durability. 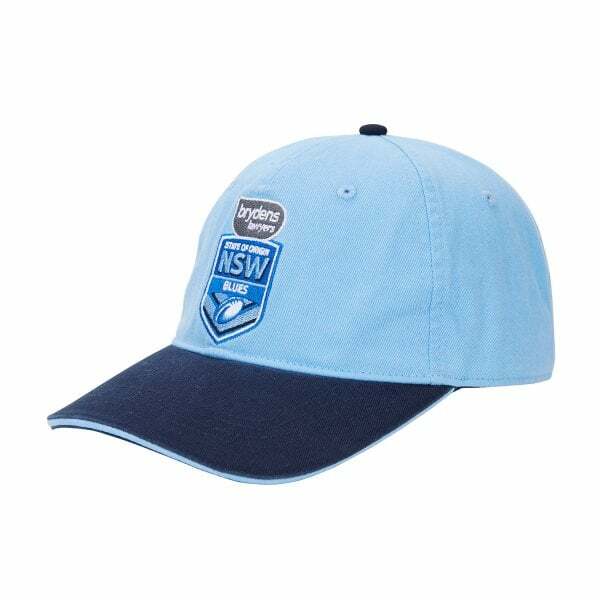 It’s embroidered team and sponsor logos on the front make this a premium cap that will support you every time you support NSW at State of Origin. It also has a curved peak that lends it a stylish appearance when you’re out and about, whatever you happen to be doing. Get one now from the 2019 NSW Supporters range at Canterbury.